Hello and thanks for stopping by my little blog! 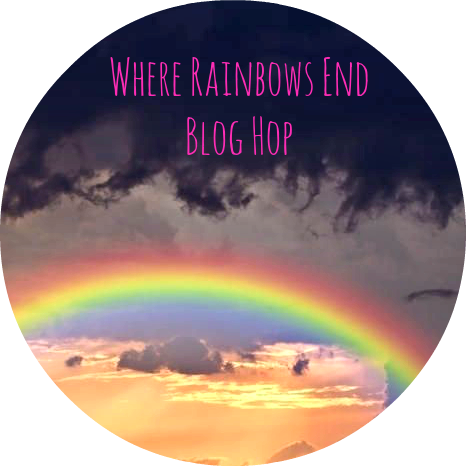 Welcome to week 8 of the Where Rainbows End Blog Hop! I hope that you'll all link up, have fun finding new blogs which you'll hopefully fall in love with and have some great posts to follow from your newly found fellow bloggers. You can link directly to your main blog or your favourite post from the past week or a giveaway you're running it doesn't matter, just enjoy it! You can submit Bloglovin or main blog page links for GFC users too. All blog genres are welcome too! Please let me know if you've followed my blog by leaving a comment on this post and I'll be happy to return the favour! Don't just leave your link and leave, please do visit other people's blogs too, that makes the blog hop work properly and be beneficial for all involved. Leave a comment on someone's blog if you have the time to let them know you've stopped by. Thanks for taking part, happy blog hopping! Thank you for the blog hop. Hope I did it right. Having fun looking around.